Discussion in 'Xbox 360 Guides' started by InsaneNutter, Aug 30, 2010. 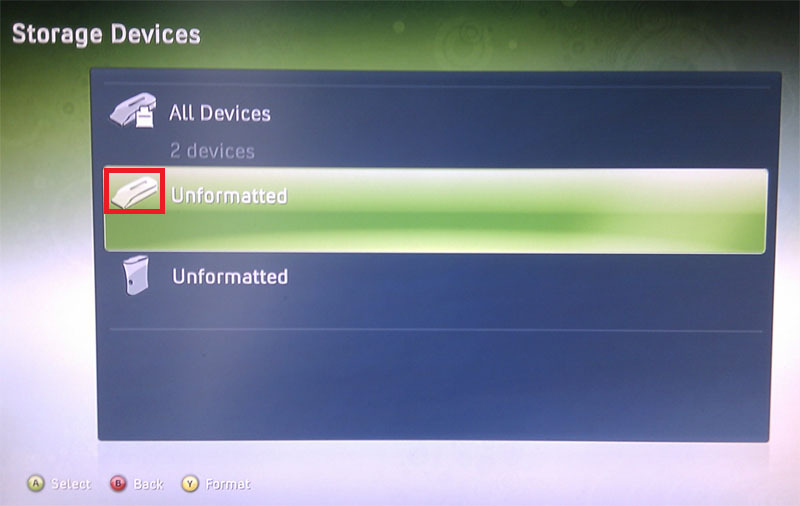 If you have an Xbox 360 console that has been Jtag hacked I'm sure you will be aware that a lot of the security restrictions that are present on stock Xbox 360's are removed, one of these restrictions is the hard drive size limit. A Jtagged console can use any 2.5" SATA hard drive, the make, model and size do not matter. Unlike upgrading the hard drive on a console that is not Jtagged no hacking with Hddhackr is required, we are now going to remove the old drive from the 360's hard drive enclosure and swap it with the drive you wish to upgrade to. You will need a Torx T6 screwdriver to do this. 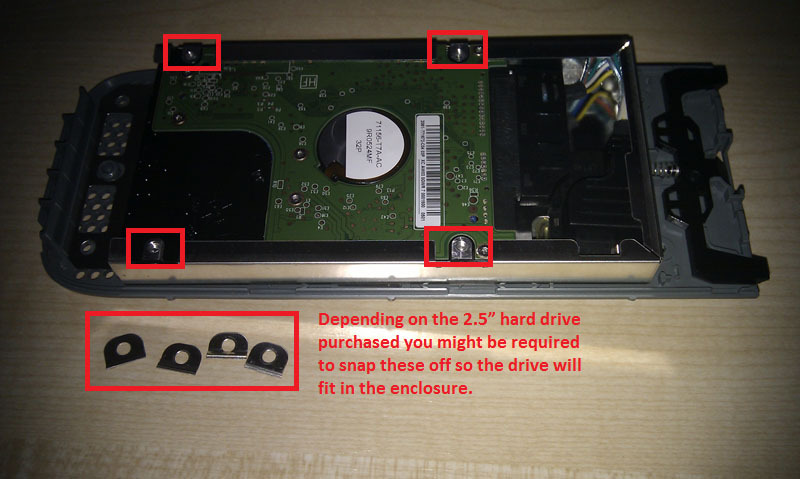 You can now remove the top, the mechanism to lock/unlock the HDD-bay on your Xbox 360 console might fall out… don’t worry it’s easy enough its put back together, just look how it is in my photo below. Now you have 4 more screws to remove, these require a Torx T10 screwdriver, you can then remove the metal case. Now you can unplug the power and sata cable from the drive, then slide it out pulling the drive gentily up as you do so. Now you want to insert the new drive in to the 360 caddy / enclosure, depending on the size of the 2.5" drive you might need to snap the 4 prongs off the 360's drive enclosure as seen in the photo below. 9.5 mm drives will fit in the enclosure without having the prongs snapped off, however the slightly larger 12.5 mm drives will require them to be removed. To remove simply bend them and they should snap off with ease, the enclosure will still re assemble fine without them don't worry. After you have re assembled the enclosure connect the drive to your console, power it up and go to the memory management screen. 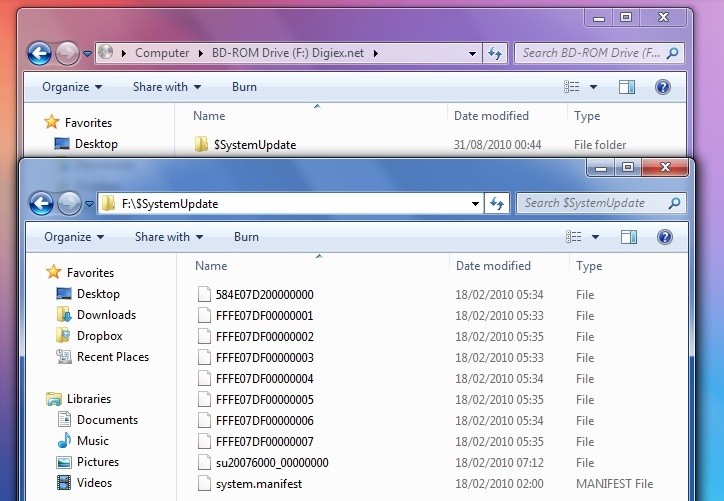 All been well you should have an unformatted hard drive show up, if your Jtagged console is Jasper with 256 or 512mb of internal storage be sure you format the actual hard drive and not the internal storage, you can tell them apart by the icon, as seen in the photo below. Highlight the new drive, press Y to go in to device options and format the drive. You will be asked to enter your consoles serial number. Now we are going to restore the backwards compatibility partition, to make this as easy as possible for beginners I have created a CD with the applications and files you will need to do this. 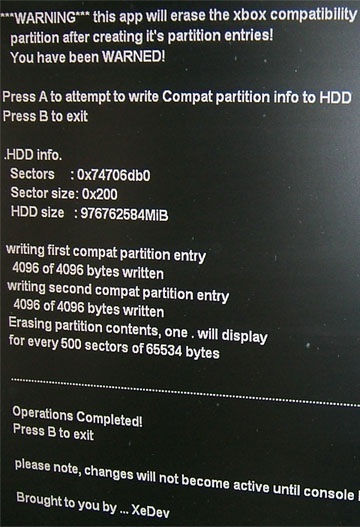 You will be warned about erasing the partitions on the hard drive, press A to create the compatibility partition. When this has finished switch the console off as instructed, then turn it back on again and load XEX Menu. Press the right shoulder button then use the D pad to navigate to the files on the DVD, now highlight the compatibility folder, press Y and select copy. Now press left on the D pad until you get to HddX, then press Y again and select paste. The hacked Xbox 1 Backwards Compatibility v5829 (November 2007) will now be copied to your console. 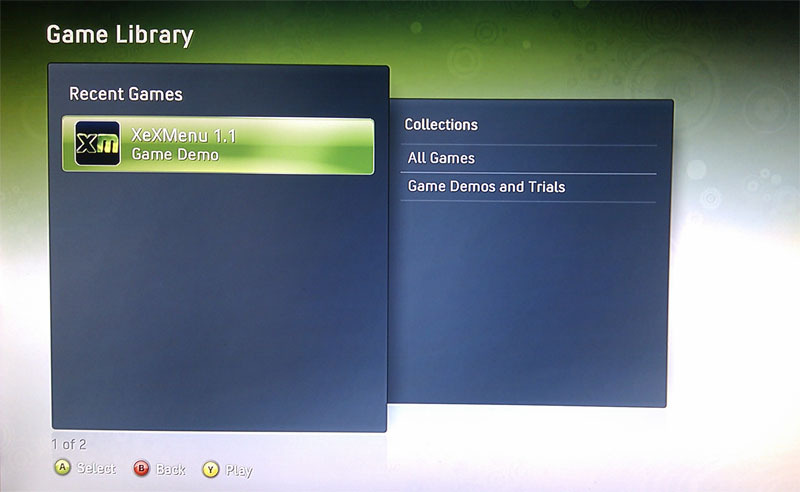 The Xbox 1 emulator is now restored, this will let you run Xbox 1 games and some Xbox 1 homebrew. Your new hard drive is almost ready to use, all we need to do now is restore the avatars. 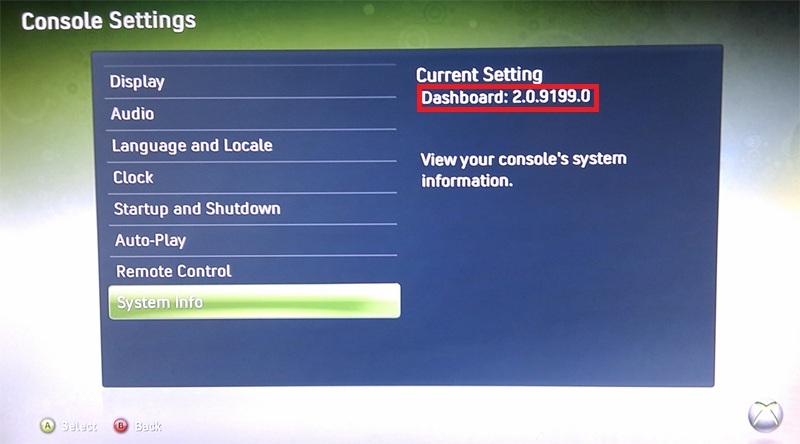 Here we can see my console is running the 9199 dashboard so I MUST run the official 9199 update to restore my avatars. If i was to run a dashboard update newer than 9199 it would also update the 360 and not just restore the avatars like we want. If this was to happen the update would patch the exploit the jtag hack uses and blow an e-fuse. It would only be possible to recover from this if you had removed the R9T3 resistor when Jtagging the console. So think about what you are doing and you will be fine. In the future newer dashboard versions will be released so please do check, at the time of posting 9199 is the latest dashboard. 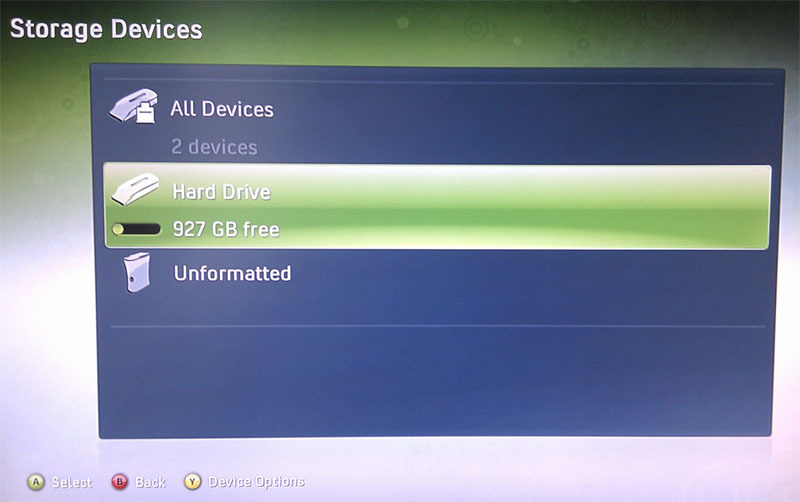 After doing so ensure the Xbox 360 is on the dashboard, then connect the USB drive with the update on to the Xbox 360 or insert the DVD with update on. You will then have to then switch the console off, power it back on and your avatars should be restored. I think that should cover everything, hopefully your Jtagged Xbox 360 should have a nice large hard drive with a working Xbox 1 emulator and avatars. You could get to the end result of this tutorial in several different ways, I have tried to make this tutorial as easy as possible for beginners to follow. If you have any questions or problems do feel free to ask and I will do my best to help. OrangeMohawk, Bigdogontop, kinkywinky and 4 others like this. wow i need this ..
What is the fastest way to transfer data from one drive to another? I've used both FTP and and Explorer360 and both take forever. Anything quicker? As you are using Xplorer360 I would guess the drive is FATX formatted? If thats so then FTP, its not that slow... you can read and write to the drive at 100mbps which is a lot faster than Xplorer 360 can, for me anyway. If your using FAT32 formatted external drives with Freestyle / XEX Menu then the fastest way could be just to connect both drives to your computer. FTP it is then. Maybe I should just keep less data on my drive if I don't like the backup time. You could always just leave it backing up when you go to bed or something! What about a used HDD? is this process is for a NEW HDD only? 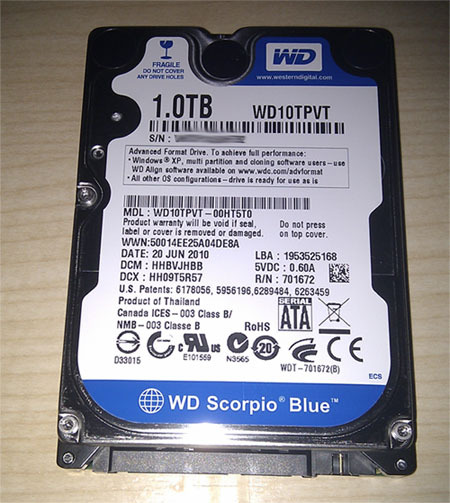 I want to upgrade my laptop HDD size, and at the same time use it for my Jtag. its already define with partitions, data and FS(NTFS).. can i just reformat it via the console @ use the above tool to erase previous configuration? Yes you should be able to use any 2.5" SATA drive. Just bear in mind 12.5 mm drives are a tight fit when placed in the 360's enclosure, although its possible as you can see in the original post. Thanks for the quick response, will try and let you know. do you know how much of a performance difference there is to using a 7400rpm vs 5200rpm drive? Nothing noticeable at all, you might get the odd second improvement on loading here and there. 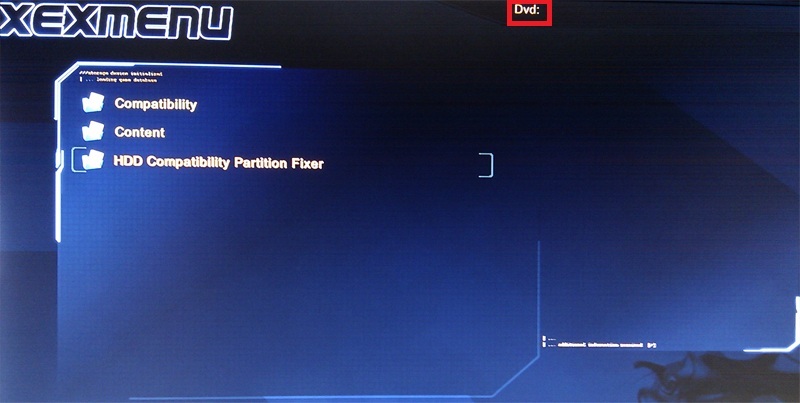 i want to upgrade the internal 360 hard drive , and have the 12611 dash with FSD 2.1. apart from the swaping of the drives, what update would i need to do to restore the avatars and then ultimately restore FSD 2.1 on the new drive. 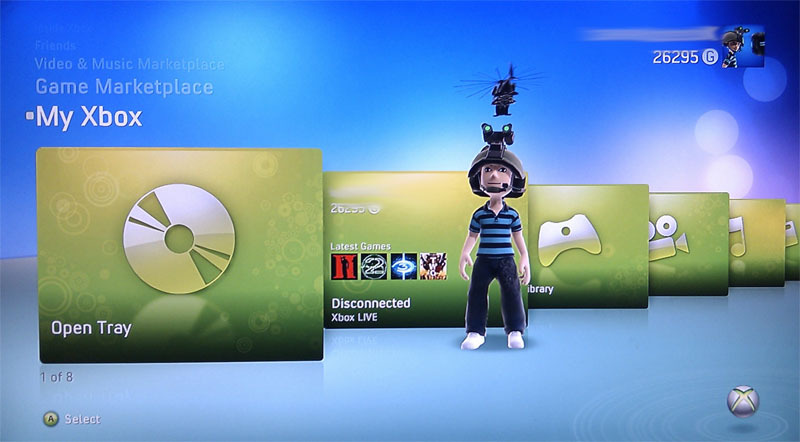 Run the 12611 update with avatars to restore your avatars / kinect support. As for Freestyle how do you copy stuff to your 360? Just copy it off the old hard drive and back on to the new one. You could use XEX Menu (included with the ISO in my post) to copy it to a USB drive, then copy it back to your new hard drive. thanx for ur prompt reply. hey i just got a jtag today. my avatar needs a system update and i wanna use my kinect so im sure that does too. im scared to un jtag my box so i have dash version 2.0.13146.0. so i download the official 2.0.13146.0 update with avatar and load it into my box and it WONT de jtag my system right? i just got it today and spent good money i dont wanna brick it so please let me know. thx in advance! Yes that will be fine, you have the same system update as the dashboard you are on so it will just restore the avatars / kinect data. You will be fine, just NEVER run a newer system update otherwise you will not have a Jtag anymore. thx ill do that. also i loaded the hacked hdd backward compat cd and did everything and it freezes on white xbox logo while loading any xbox1 .xbe. i believe i read someone say that they could have disabled xbox1 compat in the freeboot settings while flashing it. would u happin to know how i would change this to get backward compat? how do i know what version of freeboot i have and how would i flash it. 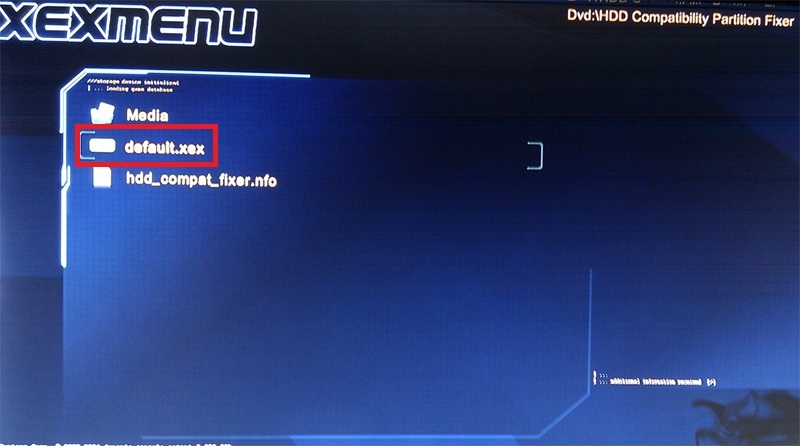 first time with jtag and i didnt do it myslef i bought it like this last night. thx again! You can also disable system updates in the newer versions too, the installer should guide you through a lot of the setup. Dont enable the content patch as it messes DLC / arcade games up.